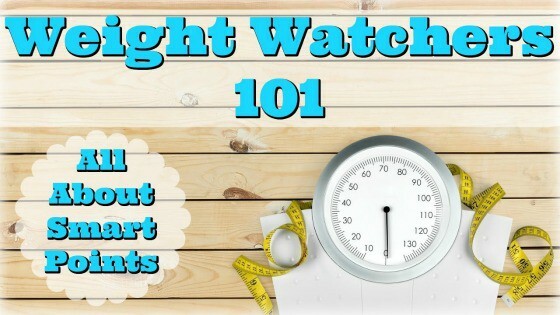 I found a great new video by a former Weight Watchers leader this week called Weight Watchers 101: All About SmartPoints that I am excited to share here. I get so many questions about SmartPoints and how to track and calculate. 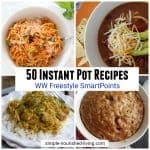 Questions like… What’s the Difference between WeightWatchers Points, Points Plus and SmartPoints? How many points do I get in a day? Should I eat all my points every day? In this video Brianna does an amazing job providing all the details. Enjoy! When you join Weight Watchers your daily SmartPoints budget and weekly SmartPoints budget will be determined based on a formula that uses age, gender, height and weight. Every food & beverage has a SmartPoints value that can be tracked. Not all calories are created equal. 300 calories of chicken is not the same as 300 calories of candy. Protein lowers the SP value. 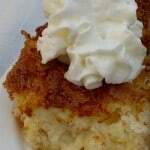 Sugar and saturated fat raises the SP value. Think of SmartPoints like money. You get a daily SmartPoints value. Think of this as your daily checking account. It’s best to eat up your daily allotment of SP. You also get a weekly SmartPoints value. Think of this as your savings account or overdraft protection. It’s available for extras when you exceed your daily budget. You can also earn Fit Points for exercising. You may or may not want to cash these points in for food. Let your weight loss be your guide. 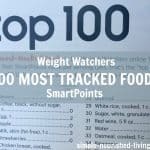 Weight Watchers introduced a new plan in December 2015 called SmartPoints – Beyond the Scale. It tries to help people make smarter food choices and build a better relationship with food. Similar to their other points-based plans, every food and drink is assigned a points value. SmartPoints is calculated using calories, saturated fat, sugar and protein. No food is off-limits, but the plan assigns higher points values to foods higher in sugar or saturated fat, and lower points values to lean proteins. 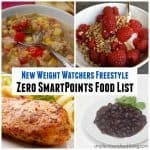 Most fruits and vegetables are zero points, similar to the old PointsPlus plan. Some condiments are no longer free, such as ketchup, due to the sugar content. An alternative to counting points is available. It’s called The Simply Filling or No Count Technique. 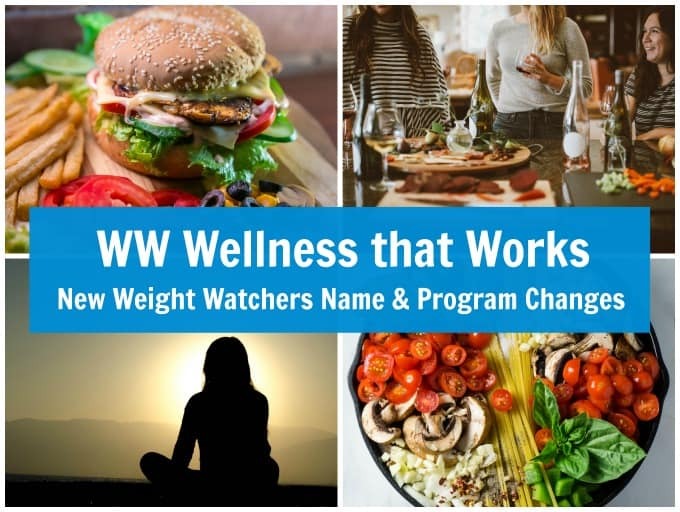 Weight Watchers is cooking up some program changes for 2018! Weight Watchers Flex has already been released in the UK. The US version – Freestyle – will be rolled out beginning the first week of December. Click here to find out what’s going on in the US with Weight Watchers in 2018! 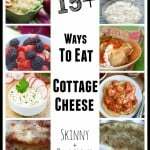 Why is weight watchers constantly changing their plans….it seems like people are not losing weight so they are trying new things time to time….wish they’d get with plan that really works and just leave it there…….thus far, not impressed with WW……you can’t go by Oprah as she can hire chefs and the best of foods…not everyone can. 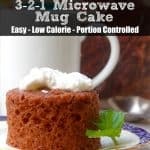 when I used to do weight watchers it worked great for me. 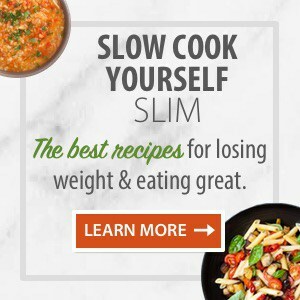 I like that they switch it up helps keep us on task as many get bored with diet programs. Wonderful video! You explained it very well!! Thank You. I am considering joining the online program as I have NEVER had a meeting director like you. I like your direct, quick way of speaking. I’m looking for the Smart Points list of food. I’m not seeing it in this article.